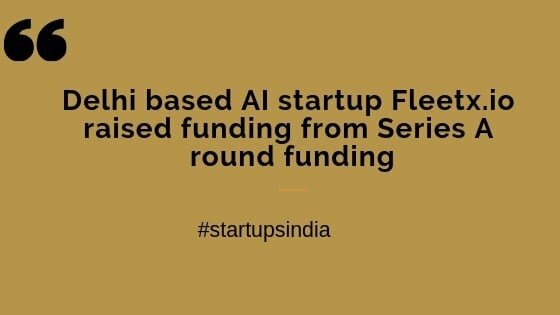 Gurugram based logistics startup Fleetx.io which is using artificial intelligence (AI) has raised funding from Pre-Series A round of funding from India Quotient and LetsVenture’s Angel Fund, apart from that individual angel investors Ajay Prabhu, Prashanth Susarla, Sajid Rahman, and Aditya Pratap Singh also participated in this funding round. The startup is going to use these fresh funds towards the product, tech enhancement, and drive expansion in other cities such as Bengaluru, Kolkata, Gujarat, and Mumbai. 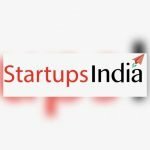 The startup Launched in 2017 by Vineet Sharma, Abhay Jeet Gupta, Udbhav Rai, Parveen Kataria, and Vishal Misra. Fleetx.io is intelligent fleet management and predictive analytics platform. The founders of Fleetx claim its platform is being used by more than 200 fleet owners and is growing at 30% every month. It is further targeting 10X growth in the financial year 2019. The key investors for the startup are India Quotient and LetsVenture’s angel fund. Fleetx joined in a number of early-stage software-as-a-service (SaaS) startups to receive funding, and it is Mumbai-based enterprise raised around INR 2.2 Cr. The startup till now raised $ 1 Million.